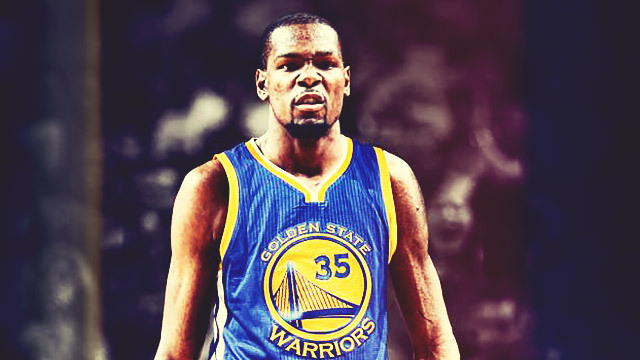 The Golden State Warriors continue to make heads shake in disbelief. Just what is this creature? Like immortal death machines in slasher films, they just keep coming at you—with threes in lieu of axes. Nothing is safe. Not Kevin Durant nor the mighty Russell Westbrook. In what was the most poignant sequence of the Warriors' series-stealing Game 7 win against the Thunder, Stephen Curry blew by Durant with a behind-the-back crossover and soared for a finger-roll against the high-flying Westbrook at the rim. It was a defiant moment in a series that had people talking about how the Thunder were just too long, rangy, and athletic. These things unfortunately disappeared when crunch time came around. When Curry and crew started clawing back, the Thunder showed a tendency to stiffen up in these last three games—allowing good looks, turning the ball over, and settling for tough shots. That was their death knell. Not NBA records. In Game 6, there was Klay's 11 three-pointers, the most in a Playoffs game. Prior to that, nine was the high number set multiple times by several players. Curry and Klay also set the most three-pointers made in a seven-game series with 32 and 30, respectively. The previous record (28) shared by Ray Allen and Dennis Scott went the way of the '95-'96 Bulls—that is, broken. And not history. Staring down a 3-1 deficit four games through the series, it seemed like the end for the Warriors. After all, of the 232 instances in which a team trailed 3-1 in the Playoffs, only nine of them have been able to come back. Doing the math, only three percent have made it out alive from such a hole. Three percent! In other words, by historical trends, the Thunder had a 97 percent chance of winning the series at that point. We wish there were other words to say it, but the numbers indicate just one thing and one thing only: OKC blew it. If it were any consolation, at least they lost to the winningest team in regular season history. Who knew Draymond Green, their loud-mouthed big man, would play the part of the wise seer? After Game 4 and his team down 3-1, Green said, "If anyone can do this, we can." Outside the team and its most loyal points, he didn't convince a lot of people with the subdued response. But here we are: His team's headed back to the Finals carrying the extra confidence that they can come back from major adversity. Green had a point. They were still the champs. One can say that it was partly pride that resuscitated them. It would've been a horrible look for this team to go out the way it would have if the Thunder just held on. 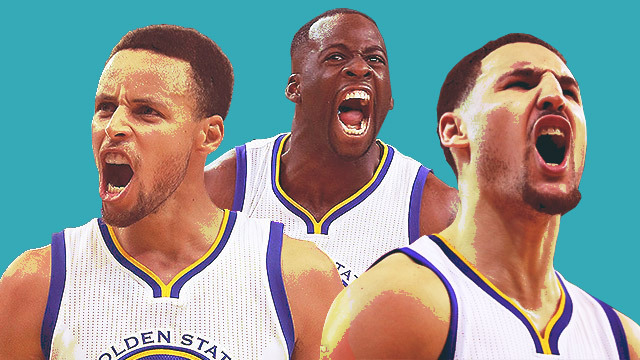 Especially with the flexing and the chest-puffing all season long, a loss would have given all those who had started to perceive the Warriors as arrogant all the fuel they'd need. And perhaps it was also the adversity that the Warriors needed. The season has seemed far too easy. With the Thunder putting them in a momentary chokehold, and them breaking away from it eventually, they've added grit to the glamour. They're stronger for it. Just as the Cavs are stronger this year with Irving and Love healthy, the Warriors have also become stronger thanks to that test provided by the OKC Thunder. While these Western Conference Finals and its participants have provided immense entertainment, we are now looking forward to the NBA Finals where LeBron and his crew now try to do what the Thunder couldn't: finish off a team that has, at times, looked immortal. To do so, they need to take the advice of former Houston Rockets coach, Rudy Tomjanovich, who led his team to back-to-back titles: "Never underestimate the heart of a champion."